Mike Greene - mgreene@shawmedia.com Cary-Grove's Paige Lincicum prepares to take a free-throw during the McHenry County Area Girls All-Star game Sunday, April 22, 2012 in Hebron. Lincicum was named MVP for the game. 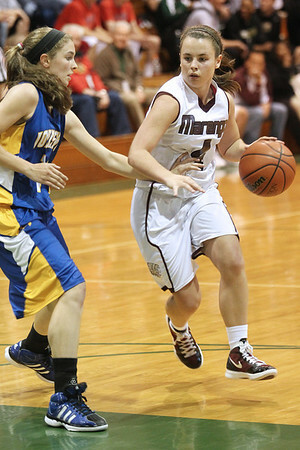 Mike Greene - mgreene@shawmedia.com Marengo's Molly Richardson (right) dribbles as Johnsburg's Stephanie Cherwin defends during the McHenry County Area Girls All-Star game Sunday, April 22, 2012 in Hebron. 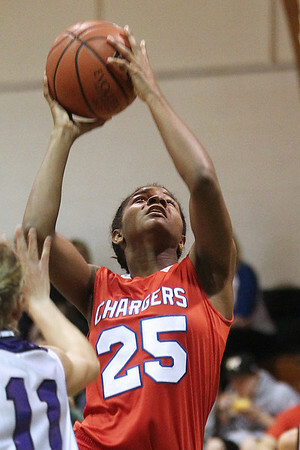 Mike Greene - mgreene@shawmedia.com Dundee-Crown's Diamond Williams takes a shot near the basket during the McHenry County Area Girls All-Star game Sunday, April 22, 2012 in Hebron. 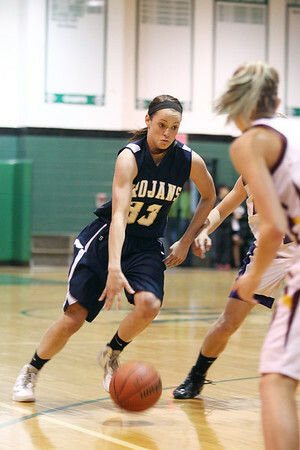 Mike Greene - mgreene@shawmedia.com Cary-Grove's Paige Lincicum (cq) drives towards the basket while playing in the McHenry County Area Girls All-Star game Sunday, April 22, 2012 in Hebron. Lincicum was the MVP of the game, helping the away team win 44-41. Mike Greene - mgreene@shawmedia.com Huntley's Abbey Shaw (right) defends Dundee-Crown's Diamond Williams during the McHenry County Area Girls All-Star game Sunday, April 22, 2012 in Hebron. 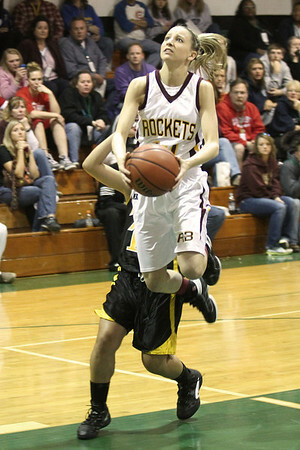 Mike Greene - mgreene@shawmedia.com Richmond-Burton's Erin Thomas goes in for a lay up during the McHenry County Area Girls All-Star game Sunday, April 22, 2012 in Hebron. Mike Greene - mgreene@shawmedia.com Crystal Lake South's Stephanie Melone dribbles the ball down the court during the McHenry County Area Girls All-Star game Sunday, April 22, 2012 in Hebron. Cary-Grove's Paige Lincicum prepares to take a free-throw during the McHenry County Area Girls All-Star game Sunday, April 22, 2012 in Hebron. Lincicum was named MVP for the game.